I know it's been a while since I have posted a review, but I've been swamped with things and it took me quite a while to read this book. 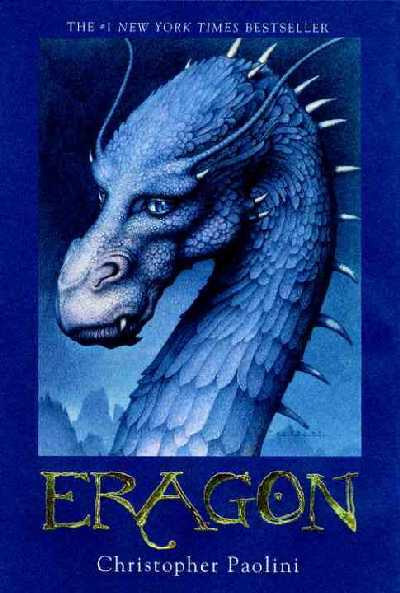 So, here is what I thought of Eragon: Overall it is a great story that is told very well. It was a little slow starting for me and I almost put it down and chalked it up as a book I wouldn't enjoy. I'm glad I didn't. This book turned out to be quite the page turner once you got into middle and end of it. I love the character development and the great descriptive language used in the book. It's almost like I'm traveling to the cities and through the valleys with the characters in the book. I love where the plot is going and can't wait to read books 2 and 3 and see where it all ends up. Overall this book gets a 4/5 from me.